Rick Riordan, dubbed 'storyteller of the gods' by Publishers Weekly, is the author of five New York Times number-one bestselling book series with millions of copies sold throughout the world: Percy Jackson, the Heroes of Olympus and the Trials of Apollo, based on Greek and Roman mythology; the Kane Chronicles, based on Egyptian mythology; and Magnus Chase, based on Norse mythology. Percy Jackson and the Lightning Thief, Rick's first novel featuring the heroic young demigod, won the Red House Children's Book Award and is now a blockbuster film franchise starring Logan Lerman. 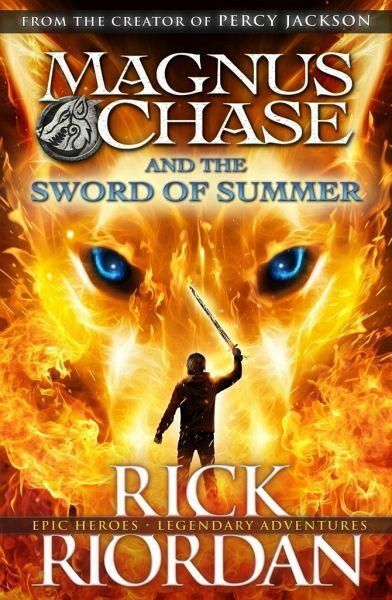 To learn more about Rick and his books, you can visit him at www.rickriordan.co.uk or follow him on Twitter @camphalfblood. Bd. 1. d. MAGNUS CHASE - series. Geschrieben im Stil d. HEROES OF OLYMPUS - series. dann ist diese Serie prima geeignet, weil unterhaltsam.